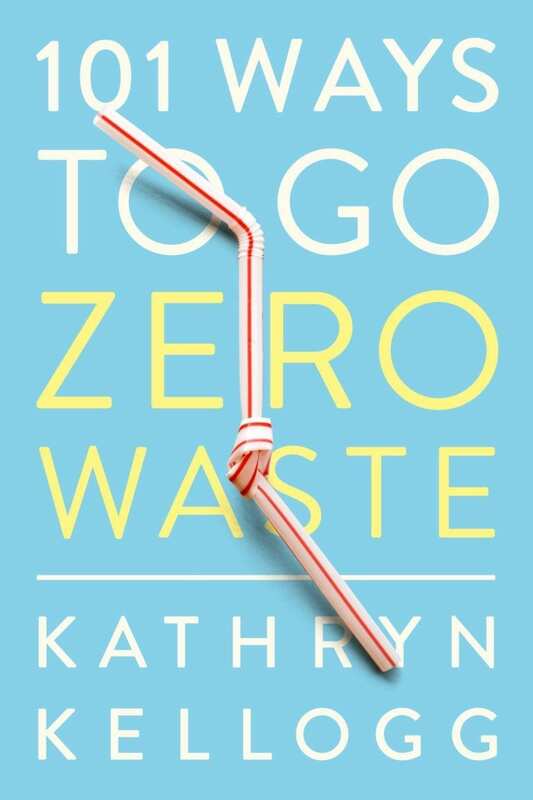 In her new book, Wanderlust San Francisco speaker Kathryn Kellogg outlines 101 ways to go zero waste. Here, she shares tips for zero-waste travel—and we ask a few questions. Kathryn Kellogg is the founder of Going Zero Waste a lifestyle website, and the author of 101 Ways to Go Zero Waste, available now. Learn from her in-person at our all-new 2-day Festival in San Francisco! For tickets and more information, click here. What follows is a brief Q&A with Kathryn about her new book, and then a short excerpt from the book about zero waste travel—so you can travel mindfully to San Francisco to hear her speak. Reproduced by permission of The Countryman Press. All rights reserved. Wanderlust (WL): You talk in the book about how you and your partner came to embody zero waste travel, but how did you get there? Was there a tipping point that you realized how/what you needed to do? Kathryn Kellogg (KK): I am a big believer in making travel meaningful. For me, it’s not about hopping place to place, instead, it’s about really spending time in an area and experiencing it fully. So, instead of taking a bunch of smaller trips my husband and I like to take longer trips. This cuts down on our overall emissions and allows us to get into a bit of a routine which always helps with reducing waste. WL: Travel can be challenging in and of itself. Doesn’t trying to do it zero waste make a difficult thing even harder? KK: It can be challenging because you’re in a new area and you’ll have lost the support systems and habits you might have built. With all things in life, being a little bit prepared and a good attitude will take you far. I might make a lot of mistakes, but my go-to item is having my trusty reusable water bottle with me. It certainly helps me avoid single-use plastic ones! WL: When you’re traveling, you increase your carbon footprint. What good do the little things do when you’re already being wasteful by transportation alone? KK: You’re asking the right questions, and I like it! Small changes are great because it challenges the way we do things in day to day living. It’s a simple act of wanting to try and change disposable culture. It’s ok if you’re not perfect, it really is the trying that matters. Single actions aren’t done in a vacuum, you influence others around you including businesses and policy. Having said all that, it is so important to make travel as meaningful as possible. I’m a big believer in traveling and expanding your viewpoint, but try and make it carbon neutral. Focus on greener transportation options when available. Is that taking a bus or train? Roadtrippin’ with a hybrid, electric, or hydrogen fuel cell vehicle? And, of course, please buy carbon offsets! I like to calculate my carbon footprint at footprintcalculator.organd then buy a bunch of trees with the USDA Forest Service or Arbor Day Foundation. WL: How can attending mindful events—like a Wanderlust Festival—deepen your understanding of and appreciation for traveling zero waste? 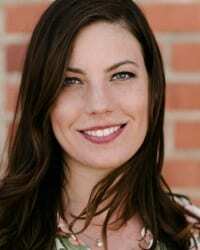 KK: Lack of mindfulness is a huge part of the problem with disposable culture. We’re so disconnected from our trash, our environment, our planet. We often think we (humans) operate above nature, but we ARE nature. It’s so important to be able to create these connections from your mind to your body to your actions. What follows is “Way 77” from Kathryn’s new book about how to live a zero-waste lifestyle. Give it a go as you travel to a Wanderlust event this year! The Boy Scout motto and the zero- waste motto are one in the same: “Be prepared!” But it can be difficult to be prepared when you have no idea where the open road will take you. I am not the kind of person to plan out every single step of a vacation. I like to see where the vacation takes me. I want to prevent waste, but I also don’t want to carry a whole bunch of stuff with me “just in case,” because that could get really heavy. What follows is a list of what my husband Justin and I pack in our suitcases— depending on the day or what we’re doing we might take some of it with us or just leave it in the hotel room. We always have insulated water bottles on us, so we never have to worry about getting thirsty and needing to buy a plastic one. Since they’re insulated, we can also grab a hot coffee if we’re in a rush, but typically on vacation, we sip it in the café and enjoy our time together. Depending on our plans for the day, we might only bring one bottle and share. Neither of us likes to be bogged down with a lot of stuff when we travel. I tend to pack two cloth napkins for each of us. They’re small and take up very little room. They’re also super handy to have around. A cloth napkin is great for drying your hands in a public restroom, blowing your nose, or tying up on- the- go treats like donuts or pastries. Just not in that order . . . The only downside is that if a cloth napkin gets too soiled, it’s not super convenient to wash it. You can always use the hotel sink, though; just make sure you have time for it to dry. Justin and I each have a bamboo cutlery set. We don’t use them too often, but it’s nice to throw in your bag if you think you’re going to encounter plastic silverware. Using bamboo won’t alert TSA if you’re flying, and they’re light enough to not make too much of a difference to the weight of your luggage. Justin and I each have a tiffin. I find traveling with two tiffins makes life much easier. I have a nesting set of tiffins that’s very convenient to travel with. When we’re traveling, we don’t always have time to prep food beforehand. If we each have our own tiffin, we can get sandwiches or donuts placed in our own containers. When we went on our honeymoon, we got sandwiches to go in our tiffins at the airport, so we didn’t have to rely on packaged snacks. However, we tend to only carry one tiffin with us, for leftovers at restaurants or snacks when we arrive at our destination. I typically only bring one reusable bag that folds up really small. We don’t shop much on vacation, but I carry it just in case. I might throw in some reusable produce bags if I know we’ll be staying for a while and cooking meals in a kitchen. Make sure to bring a small bottle of dish soap. This way you can wash your reusable containers in the hotel. I like to travel with Dr. Bronner’s because it can be used for everything! Need to wash some socks or soiled napkins? Dr. B. Need to wash your body? Dr. B. Need to wash your dishes? Dr. B.
It’s a great multi- tasking item to bring. Buy Kathryn’s book on Amazon or anywhere where books are sold! Kathryn Kellogg is the founder of Going Zero Waste, a lifestyle website which helps individuals and small businesses reduce their waste through personal action and activism. She’s the spokesperson for plastic-free living for National Geographic, and forth coming author of 101 Ways to Go Zero Waste. Her zero waste living experiment for two years resulted in all of her trash fitting into a 16oz mason jar, but she stresses that’s not the goal! Curious in reducing your waste and living a more eco-friendly lifestyle? Take the challenge!